The high double-digit sales increases of small crossovers in Europe are slowing down to a still very impressive 34% in the first quarter of 2015, compared to adding more than 50% last year. 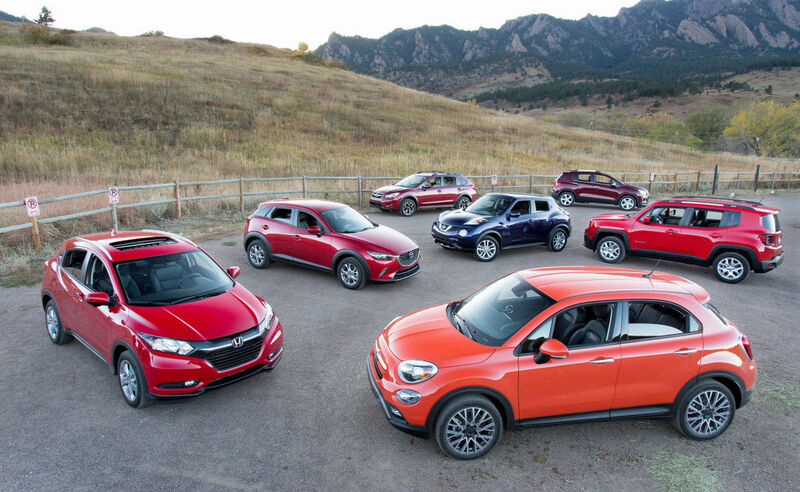 Obviously, the segment is starting to mature, with four of the top-5 players growing slower than the rest of the segment, thanks to the introduction of 3 more new nameplates: Jeep Renegade and Fiat 500X and Suzuki Vitara. With sales of over 240.000 units in the first quarter, sales of small crossovers could hit the 1 million sales this year. Unsurprisingly, the Renault Captur holds on to its lead, with over 50.000 sales in the first three months of the year. If it can keep up this pace, it will break through the 200.000 unit barrier for the entire year. That would be a very impressive performance for a model that’s only been on the market for 2,5 years and for which the manufacturer had estimated an annual volume of 120.000 units. It reminds me of the introduction of the Renault (Megane) Scenic in 1996, which was a revolution at the time, creating a segment with sales exceeding 1 million units between 2004 and 2008 and which peaked at over 1,35 million sales. The Scenic sold over 250.000 units in 1998 and continued to grow to more than 300.000 units in 2000. Sales of small crossovers in Europe continue to amaze, shooting through the 700.000 units milestone, as I predicted a modest 670.000 after the first three quarters. This is an increase of 52% on 2013, and with a slew of new players entering Europe’s hottest segment this year, the growth isn’t likely to stall anytime soon. In fact, I expect over 1 million annual small crossover sales within a few years time. Until those new players hit full steam, the 2014 top-5 enjoys a combined share of almost 92%, with the top-4 each selling well over 100.000 units, compared to just one model above that threshold in 2013. Not surprisingly, the Renault Captur has taken control of the segment with just under 165.000 sales, almost 1 in every 4 small crossovers sold. Behind the leader, there’s a fierce battle for second place, with Opel/Vauxhall Mokka outselling the Peugeot 2008 and Dacia Duster in the last quarter to narrow the gap between second place and fourth place to just 8.000 units.